with naysha lopez, from ru paul's drag race! chicago natives, chicago visitors, let me introduce you to something that you absolutely need to put on your bucket list. 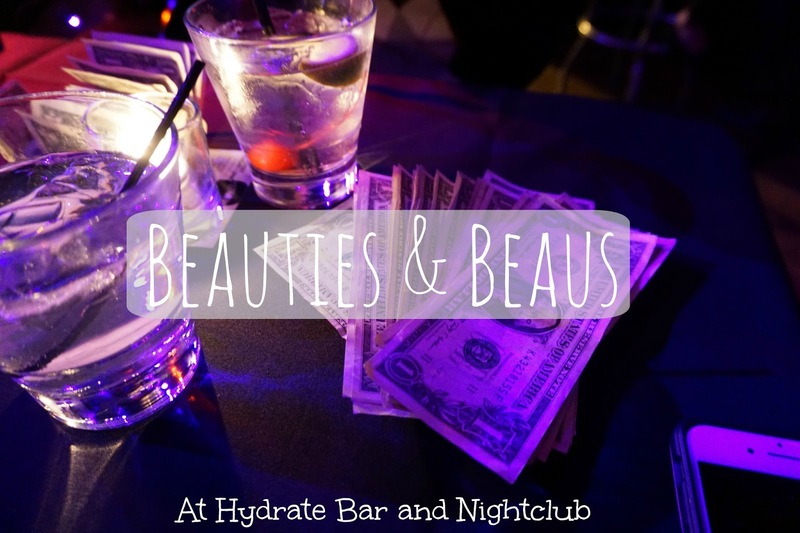 the beauties & beaus show at hydrate bar and nightclub. 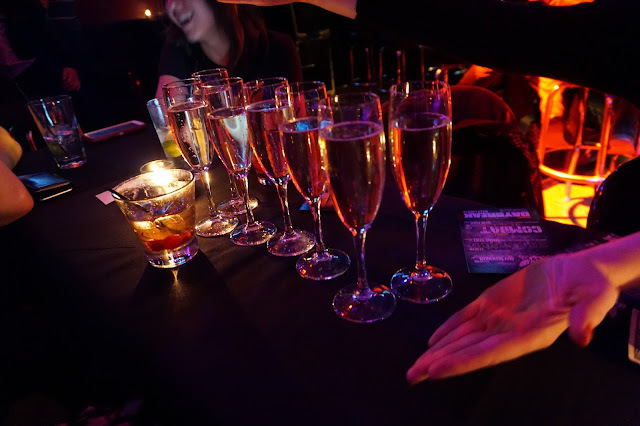 okay yes, the champagne is definitely why you should book the ladies vip package or girl's night out package. because that table is glorious. but it's so much more than that. let's start at the beginning. i was invited to attend the show and naturally picked a weekend when tara was in town. 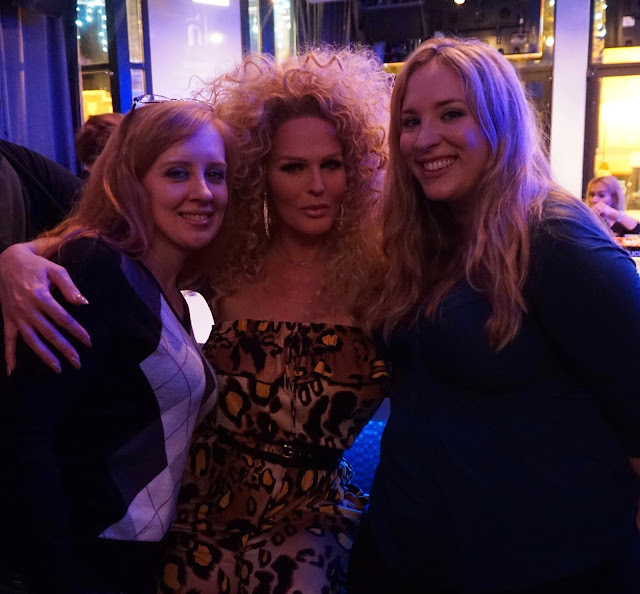 and of course invited monica, because you can never have too many chicago bloggers at a show like this. the show is held at hydrate, which i've been going to since i was 21, and i distinctly remember it at market days when my best friend sarah and i stumbled upon it the summer after high school (which, according to their website, was right when they first opened.) because it was hot and hydrate had misters and waterfalls coming down from the open windows and i thought that was awesome. been going ever since. after i turned 21... yeah, totally. 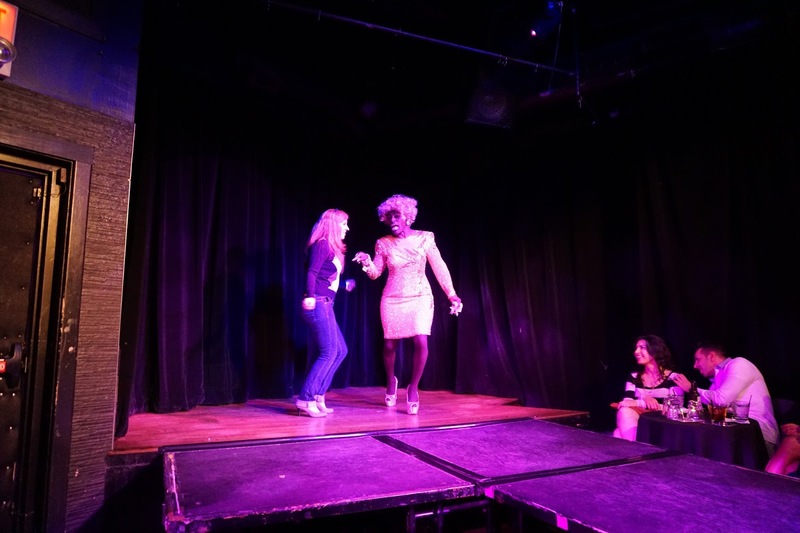 the show is described on their website as this: "Whether you’re celebrating a special occasion, girls’ night out or just wanna have some fun this weekend, head on over to Hydrate for an evening you won’t soon forget! 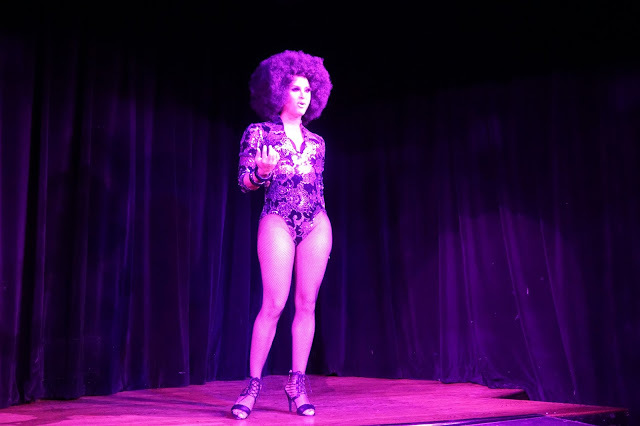 Beauties & Beaus combines Chicago’s hottest male dancers with its best female impersonators to create an interactive show that keeps the crowd on its feet all night long! Don’t be surprised if you end up on stage, with the crowd cheering for YOU!" true. hence why tara is up on stage dancing with the regular show host, mz. ruff n stuff. can we talk about those 6 inch heels, good lord. how do you dance in that? i have like 3 inch-ers and i want to die. can you spot tara and i? in our flats? the show is great from beginning to end. 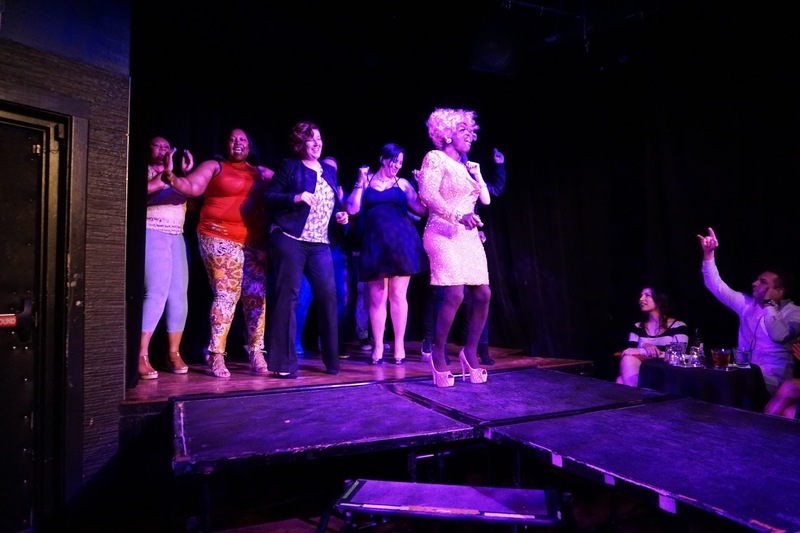 the host, as well as naysha lopez and mimi marks, performed songs from whitney to adele with costumes to match. it was like a giant sing along in there, constantly pulling guests up on stage. and of course having the male dancers is just a bonus that makes it like you're front row for magic mike. i can't remember the name of the dancer who would come by our table, but he got a lot of our dollars, i tell ya. i'll let the following photos speak for themselves. 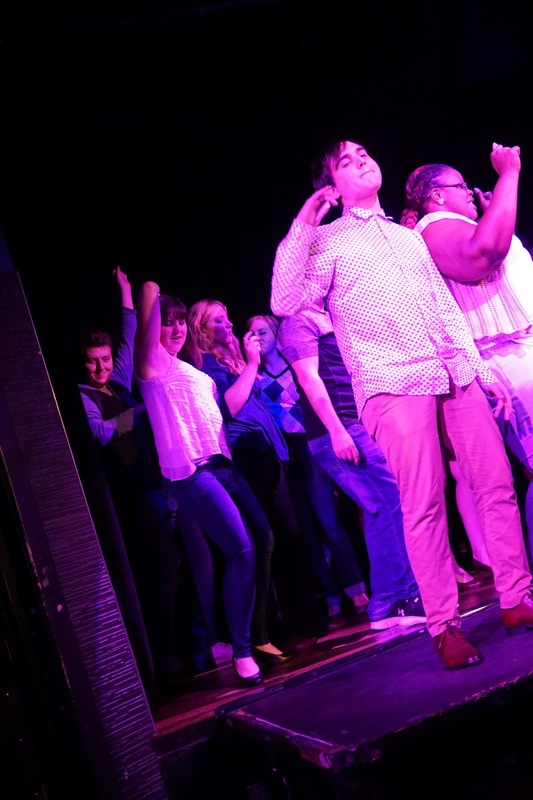 this is from the final song performed, where our friend vince went up on stage and naysha and mz. ruff n stuff performed 'the boy is mine' (brandy and monica 90s jam!) and fought over him. our entire table was practically in tears. mimi marks! please, give me a lesson in fake eyelashes. you need to go. you will have so much fun, i promise you won't stop laughing and cheering the entire time you're there. and go on stage if you have the chance, especially if it's a special event for you. there may or may not be free drinks involved. can't argue with that. you can reserve a table for just $10 a ticket, which is a steal. and they have packages that include champagne, photos, vip seating, even belvedere bottle service for just $20 and $35 a piece. what on earth are you waiting for? and why i titled this post 'now more than ever'? because it's one tiny way to show your support and stop being scared. there's zero percent chance of what happened in orlando stopping me from hanging out in boystown with my gay friends and going to hydrate and seeing fun shows, and it particularly won't stop me from seeing beauties & beaus again later this summer. i don't negotiate with terrorists. if your religion tells you that hating someone or denying someone the same rights that you have based on their gender or sexual orientation is okay, you need a new religion. buy your tickets, bring your dollar bills, send me an e-mail if you're going and i'll be there with you. and specifically, monica and i want to do this again this summer with some more blogger friends, so let me know if you want to be included on e-mails about that!